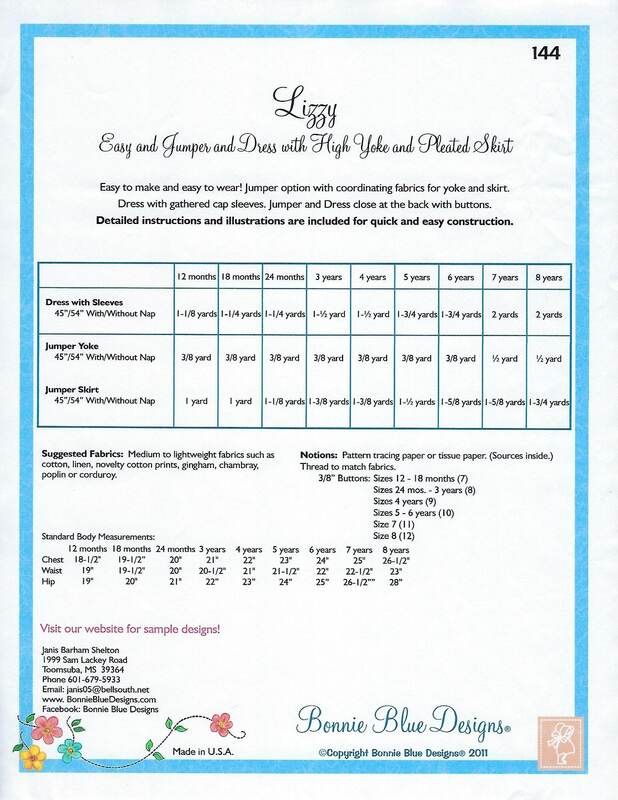 Package includes patterns and instructions to make Easy Jumper and Dress with High Yoke and Pleated Skirt. Jumper option with coordinating fabrics for yoke and skirt. 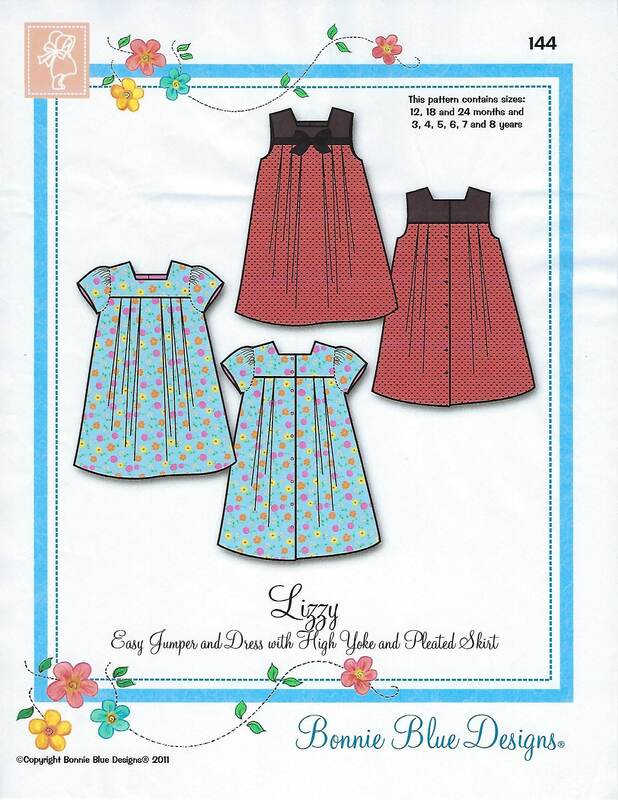 Dress with gathered cap sleeves. Jumper and Dress close at the back with buttons.